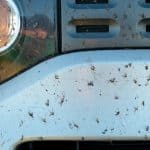 You might think that it’s not worth keeping your car clean in the winter as you’re simply going to pick up more dirt and damage. However, leaving the salty, wet residue of slush on your car can actually cause corrosion to the paint and bodywork. Even though the thought of cleaning and washing your car in the cold can be a bit of a turn off, there are definitely advantages to being proactive. If you want to keep your car’s resale value then you want to keep it as damage free as possible. Cleaning the exterior is one of the best ways of stopping salt and water from causing rust and damage that will immediately detract from its good looks. Interior problems, stains and fading ruin the inside experience. And of course, scraping off snow can cause as much damage as the salt and slush. Let’s not forget the other more immediate benefits either, a clean car will always look good on the road and make you stand out from all the other road users who are less bothered about their appearance on the public highway. So what are our recommended methods of keeping your car clean during the difficult winter months? One of the key areas of your car that needs protecting from road salt is the paintwork. In order to make sure that your vehicle does not sustain any real damage or problems it is best to use a high-quality car wax or a polymer sealant that will form a protective barrier against the corrosive nature of the salt. 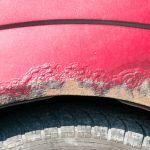 Even though many manufacturers have improved their vehicle paint over the last two decades many owners still like to take this cautionary step to protect their vehicle’s exterior. A good waxing will last around three months, so it is advisable to carry out the process in late autumn as it is easier in warmer weather. This is key to ensuring that your car keeps its good, clean looks throughout this difficult period of the year. Keeping the focus on the bodywork of your vehicle, be sure to pay close attention to chips or scratches in the paintwork, as these can quickly become centres of corrosion and can become a localised problem leading to unsightly marks and degradation. Either touch up the paintwork yourself or take your car into a service centre. 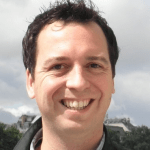 If neither option is possible then a good coat of wax can be the ideal interim measure. With tyres and wheels constantly coming into contact with the abrasive elements in gritting agents and salt, they are a prime candidate for damage and problems during the cold period. You can purchase a tyre dressing that helps you keep your tyres clean and forms a protective barrier, helping your wheel survive the harshest conditions. 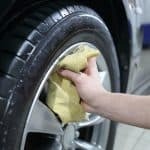 To apply the dressing simply clean off your wheels and tyres, paint on a liberal coating and leave to dry for 10-15 minutes. When the weather outside is bad there can be a build-up of salty, slushy water that gets all over your shoes and splashes inside your vehicle. Not only can this ruin the look of your carpets, but in the worst-case scenarios it could even turn into a corrosive agent that attacks the steel bodywork of your car. Avoid problems by placing rubber mats on top of the carpet. If there are protracted periods of extremely bad weather resulting in weeks of snow you may even decide to place a towel underneath the mat to prevent the surface water getting into your carpets. You may not have heard of snow foam, but this thick viscous soap allows you to remove most of the grime and filth created by adverse weather conditions. You can apply this product to your vehicle with a snow foam lance. It then needs to remain in place to react with the dirt before you rinse it off. If you waxed your car as well as using snow foam then you’re probably giving your vehicle the best chance of staying clean. If you are looking for a fast all over wash, then pressure washing is an ideal choice especially when combined with snow-foam. Check that the system is suitable for use with cars as too high a pressure could damage your paintwork and create problems where salt and grit could get into cracks and cause further damage. However, at the end of a long day this is a very good way to get all the dirt and muck that accumulates from roadside snow off your vehicle. 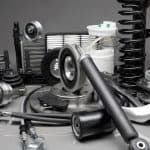 The main part of the car that is most vulnerable to attack from salty water, dirt and grit is the undercarriage or underside of your vehicle’s chassis. 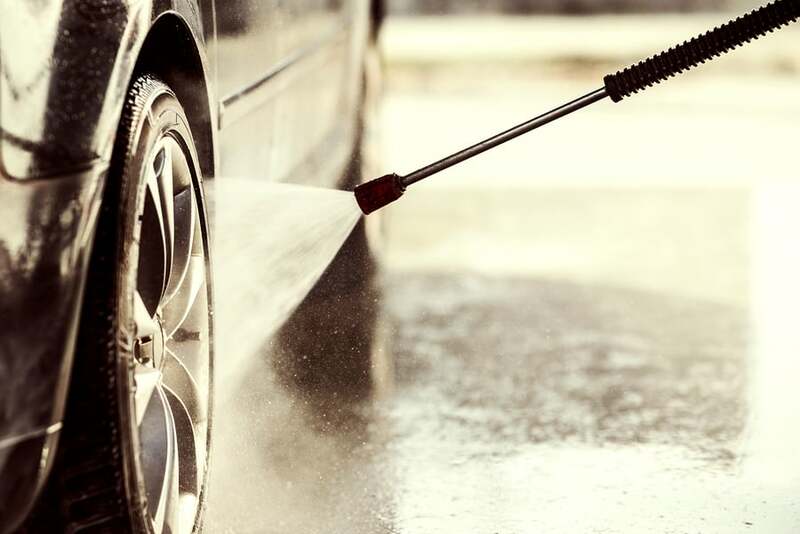 Some owners like to regularly hose down the car to simply be sure that they are minimising the chances of any damage, whilst others like to apply an underside sealant to their vehicle. If you do decide on using a sealant, make sure you are not applying it to rusty areas as it will actually accelerate corrosion. Before using the sealant it is vital to ensure that the underside of your vehicle is completely clean and you may wish to use a rust inhibitor alongside the sealant product. Want a fast and quick way to get the muck, grit and salt off your car that’s built up over travel? One of the easiest methods is to purchase a sprinkler head that fits to your hose pipe and simply spray the dirt away with a quick all over wash. 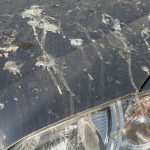 The head should allow you to distribute the water rapidly over the surface of the car and simply watch the excess muck drain away. It’s all very well us recommending that you regularly clean your car with water, but there is a side effect, which is of course freezing. Make sure that you at least dry down the locks and door frames of your car after using the hose or pressure washer to stop doors and locks from freezing shut, which could be very painful if you have to get to work on time in the morning. If you have a leaf blower, this can be ideally re purposed to give your vehicle a good dry off after a clean. Putting your car in the garage for winter seems like a great idea, and on paper it most definitely will protect your car. However, be sure to watch the heat and moisture as this can actually speed up corrosion. Either make sure that your garage is as cold as the outside environment, wash it down before putting it inside or even consider getting a cover that stops the internal moisture getting onto the bodywork. It’s the change in temperature and residue on the bodywork that can cause the most damage. Although you should always practice caution when driving in adverse weather conditions due to the increased braking distances, the likelihood of sliding on the ice and the decreased visibility, careful driving will also help keep your vehicle clean. Slower speeds will stop salt spray from covering your vehicle and remaining a safe distance behind other traffic will prevent dirt, grit and other muck that’s being kicked up by their wheels getting onto your car. When it comes to protecting your vehicle, mud-flaps are a great investment to prevent dirt and grit that’s kicked up from the road impacting your side panels and wheel arches and causing damage to the paint work. However if you do add flaps to your car then you’ll need to be aware that these add extra nooks and crannies that could become recesses for salty water that will need your attention whilst cleaning. The most important factor in keeping your car clean and damage free over the winter period is a proactive attitude and a little planning. By taking preventative measures you can avoid most potential damage to your car with waxing and sealants and driving carefully, something you should be doing at any time of year, will help you from having to do too many cleaning sessions. This entry was posted in Maintenance and tagged car cleaning, winter on 12 December, 2016 by Justin Smith.